by: Nicole Winfield, Feb 5, 2019 ABOARD THE PAPAL PLANE (AP) – Pope Francis publicly acknowledged the scandal of priests and bishops sexually abusing nuns and vowed to do more to fight the problem, the latest sign that there is no end in sight to the Catholic Church’s abuse crisis – and that it now has a reckoning from the #MeToo movement. 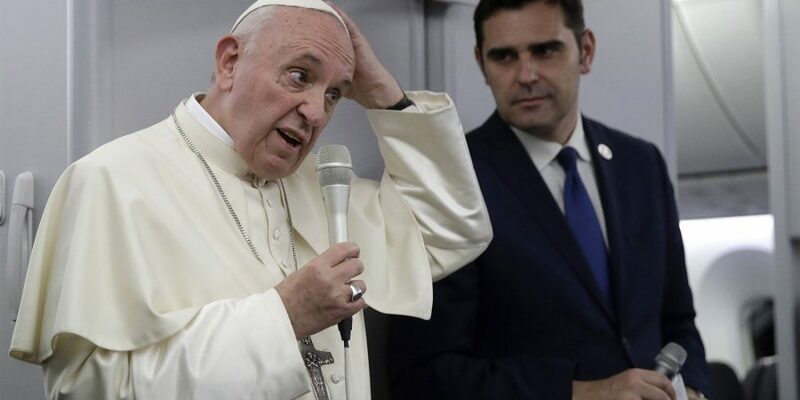 Francis admitted to the problem for the first time in public during a news conference Tuesday (Feb. 5) while returning to Rome from the United Arab Emirates. The acknowledgment comes just two weeks before he hosts an unprecedented gathering of bishops to craft a global response to the scandal of priestly predators who target children and the superiors who covered up the crimes. The issue has come to the fore amid the Catholic Church’s overall reckoning with the sexual abuse of minors and the #MeToo-inspired acknowledgement that adults can be victims of abuse whenever there is an imbalance of power in a relationship. 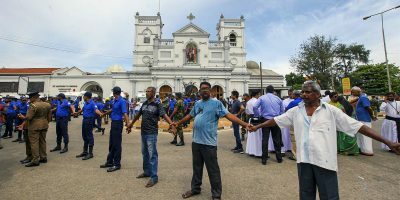 In the past year, The Associated Press and other media have reported on cases of abused nuns in India , Africa, Europe and South America – evidence that the problem is by no means limited to a certain geographic area. “Sometimes the founder takes away, or empties the freedom of the sisters. It can come to this,” Francis said. Asked if any universal norms might be in the works to tackle the problem – as has been done to handle cases of clergy sexual abuse of minors – Francis implied that the priestly abuse of nuns was still being dealt with on a case-by-case basis.